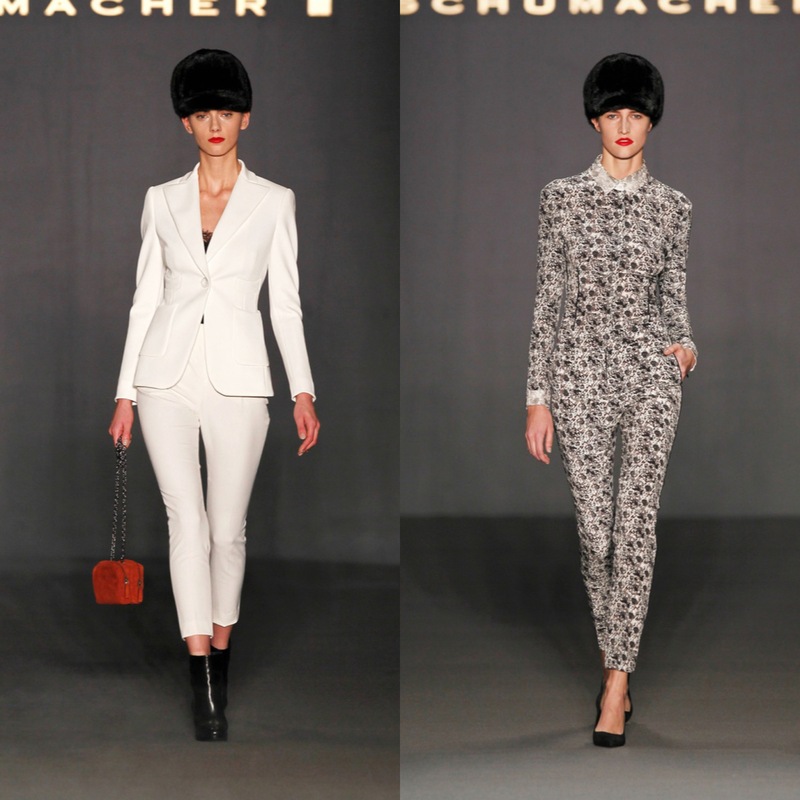 With a subtle colour palette of taupe, olive green, burgundy, violet and an added glitz of silver, the Schumacher collection for A/W 2013 designed by Dorothee Schumacher was a perfect concoction of demure ‘laydee’ meets modern fashionista. The easy-to-wear collection will no doubt be a much awaited collection for the stores, much like Isabel Marant, women will just devour Schumacher’s whole collection, and it’s no surprise. With rich fabrics, intricate layering and finished off with a slick of pillar-box red lipstick, the tied together collection was a sophisticated yet carefree combination that every woman will want a piece of. This entry was tagged 2013, autumn, berlin, fashion, Fashion week, schumacher, style, WINTER. Bookmark the permalink. Absolutely love the mix of colours! So how crazy is this. I was just on fashionforlunch.com and stumbled across your comment on the Cambridge Satchel Co. post, and recognized the name. As it turns out we’ve been following each other on twitter because of Gaga for quite some time ( @MaddieDistasio ) Small world, hm? Brilliant blog, by the way. Hope you’ll check mine out too if you have a chance!